Early in my career I faced the same question. I went the same route as many of you. I was phenomenally successful with my first mobile grooming van in the early 80s. I needed to bring someone on to help handle my client load. At the time, it was just me. I wore all the hats. My focus was strictly on grooming and growing my business. I didn’t have time to deal with payroll, taxes, and Workman’s Comp. The easiest way for me to handle the situation was to bring on an independent contractor to run a second van. Within a very short time I needed to bring on another van with another independent contractor. As I was growing the business, my father (who is also a successful businessman) was watching over my shoulder. He heavily questioned my thought process about using independent contractors instead of employees. Just like many of you, I had every excuse in the book as to why independents contractors were better for my business. I was confident I was doing the right thing. I ran like this for a number of years. My business was growing and so was my team. Then I learned about one of my idols who was a very knowledgeable and talented pet stylist who bought an existing and thriving salon. The IRS had come in for a standard audit of his business. Guess what? They determined all of his independent contractors were actually employees. They went after him for all of the back taxes for the entire team. Years of back taxes. And to make matters even worse – they went after him for all of the back taxes due from the previous owner, as well. My idol was destroyed – not just financially. He lost everything. He virtually became homeless. The IRS is not somebody you want to mess with. They can destroy you. Once I learned of this story, I went back and really looked at how I was running my business. The company dispatcher booked our contracted stylist’s appointments. The company dictated what their route needed to be and what time they needed to arrive to the client’s home. The contracted employees were required to create daily written records of the services provided along with the charges with each appointment. With existing clients, stylists were expected to follow the directions in the trim histories, plus they were required to abide by the established pricing structure. Checks were made out to my company. The company set the pricing structure charged for the work done by each stylist. The contracted employees worked full-time for my company. The contracted employees were paid weekly commissions based off of their previous week’s sales. I supplied the van, the tables, dryers, shampoos, vacuums, maintenance on the vans, fuel, and auto insurance on the mobile units. All vans were stored and dispatched out of my property. I had the ability to fire them. Sure, there are a few gray areas. When I reviewed the list of 20 questions the IRS (see the image below) uses to determine whether a team member should be receiving a 1099 or a W-2, I had that deep gut sense I had been working with misclassified workers. I was terrified. I flipped my team of independent contractors to employees almost instantly and never looked back. My father was immensely relieved with my change of heart – and rightly so. Yes, having employees was more costly to my business. I made the necessary adjustments. I raised our grooming prices. I hired an office assistant to deal with the weekly payroll. I boosted the level of responsibility of my accountant to deal with taxes on a quarterly basis. We made it work and we continued to thrive. If you are in the United States, take a look at the questions below. You can click on and print the image to review it more carefully. Answer them honestly. What is your gut telling you? This is not an area where you can afford to be wrong. Choosing the wrong classification could cost you weeks – if not months – of grief. Maybe you’ll get away with a slap on the wrist. Maybe you’ll have to make up all those back taxes and pay them to the IRS. Or maybe they will come down so strongly you could lose your business. Your home. And even your life as you know it. Are you in this situation? Jump over to the Learn2GroomDogs Facebook page and tell us about it! 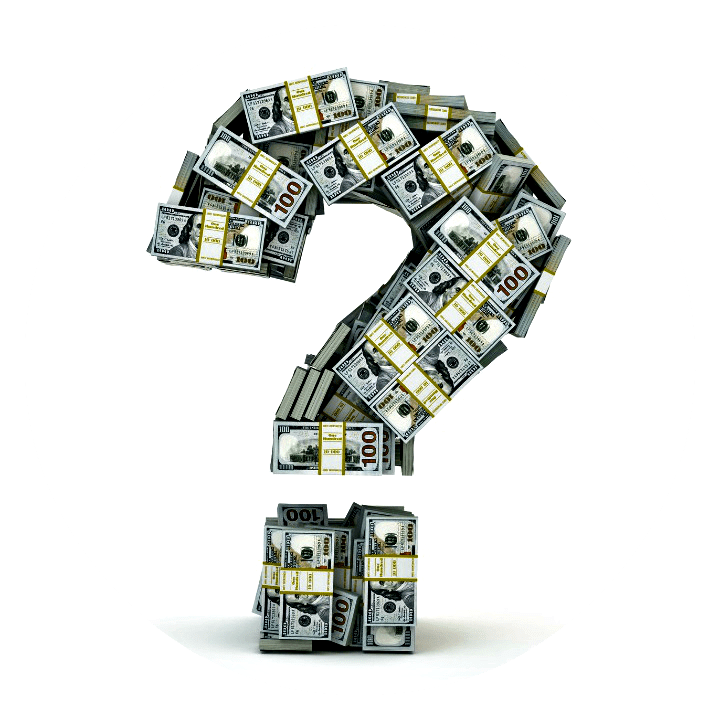 Independent Contractor or Employee – Who Do You Hire? A lot of people were asking me about this topic this weekend at the Atlanta Pet Fair. I’ve posted this before but it’s such an important topic, I’m posting it again in my blog this week. If you are a business owner, this is an important topic when it comes to finding people to help you build your company. I’m just like most of you. My first business was a mobile van. I was extremely successful. Within less than a year I needed a second van. I needed someone to run that unit. I didn’t want it complicated. I just needed help. I figured the easiest route to go was to find the person that could groom and send them out in a second rig. I didn’t need to file all that mumbo-jumbo with the government. Heck, this person was going to run solo — it was theperfect situation for an independent contractor. After all, everybody else was doing it! Fast forward three years. I now had four rigs. I had hired an accountant. My accountant suggested I hire a CPA to do my taxes. Throughout the years I knew in my heart I was running close to the wire with my independent contractors. My father had been harping on me. My accountant was concerned. My new CPA really set me straight using a very effective tactic — fear. If you work with independent contractors within your grooming organization, do you really know the current tax laws? 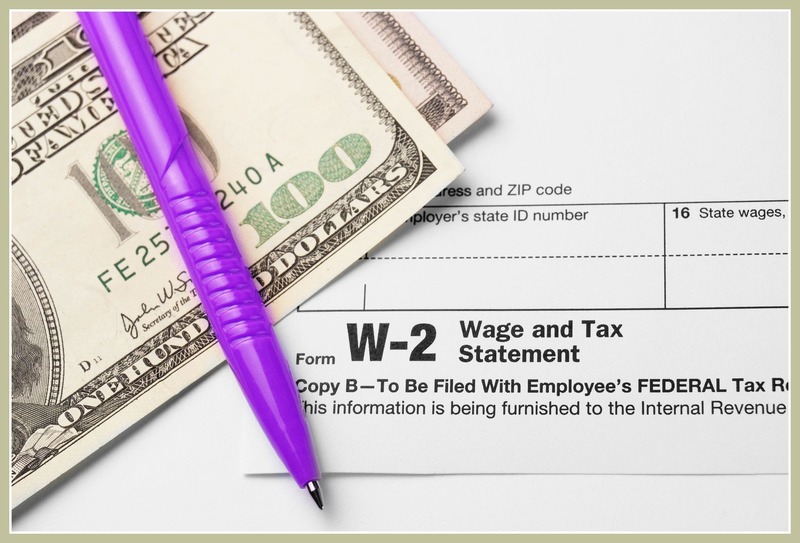 The IRS is very strict with its rulings concerning employees vs. independent contractors. Being naïve is no excuse. If you are ever caught, it will be the IRS that makes the ruling on whether you actually have an employee or an independent contractor. There are a number of different ways to get caught. It might be an audit of your business or one of your workers files an unemployment claim, a disgruntled worker simply turns you in are a few of the common ways but there are many more. I know — I know. You can’t afford to hire employees. All those taxes you have to take out of the employee’s paycheck and all the taxes that you need to pay into the government both state and federal plus Social Security and Medicare for each employee. Whew – it’s a paperwork and budget nightmare. But trust me, if you have your workers misclassified, you can’t afford not to have them as employees if that’s what they truly are. The IRS has no qualms about coming in, slapping you with heavy fines and penalties equal to the amount of all the back taxes owed plus all the interest on those back taxes. Plus, the IRS may turn you in to your state government as well. In one single sweep, your business and your livelihood can be destroyed. Shortly after I switched from independent contractors to employees I started hearing real life horror stories from within our own industry. 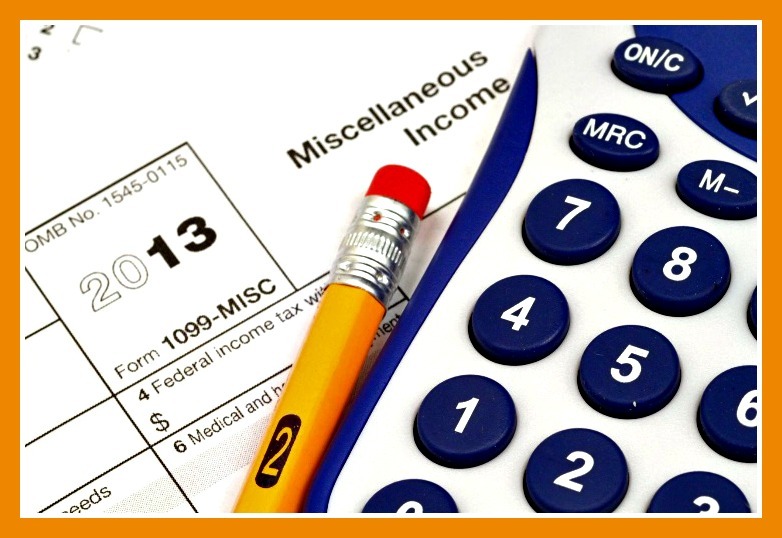 One of my personal idols virtually lost everything due to incorrectly filing with the IRS. They lost their business, their home, their personal relationship — everything. They confirmed the fear that placed into me by my CPA years before. The IRS will – and can – destroy your life if you do not play by their rules. The stories that were shared much later only reaffirmed I had made the right decision years before. So here’s the scoop. 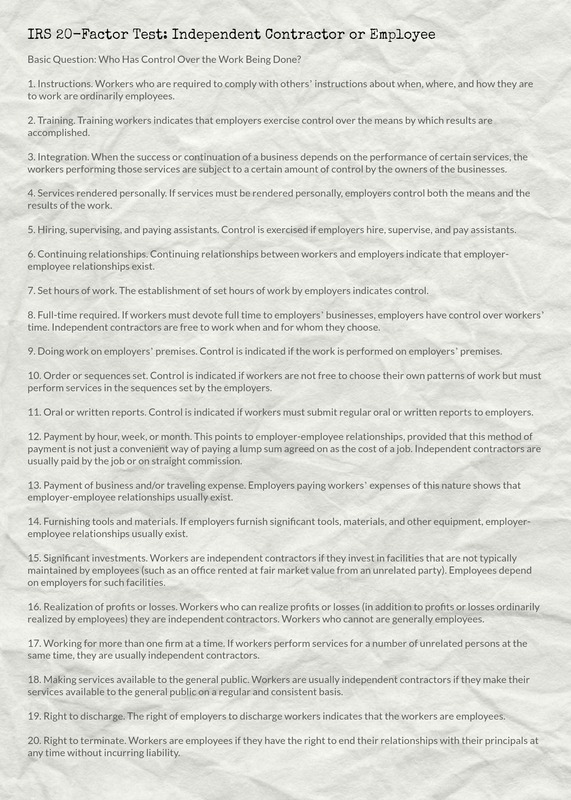 The laws are complex, subjective, and inconsistently applied, but knowing the rules can keep you and your workers safe. So here they are, in a nutshell: Under United States common law, a worker is an employee if the person for whom he or she works has the right to direct and control the way he or she works, both as to the final result and as to the details of when, where, how, and in which sequence the work is to be done. It is the IRS’ view that the employer need not actually exercise control. It is sufficient that it has the right to do so. Does the business hire, supervise, or pay assistants to help the worker on the job? Does the arrangement put the person in a position or realizing either a profit or loss on the work? Hiring pet bathers, groomers and stylists is one of the most challenging responsibilities a pet salon owner must face. But rest assured you’ll eventually find them. Even if you are desperate, don’t hire just anybody. In the long run — it will hurt you way more than it will help you. Trust me on that one! Even though they are difficult to locate – they can be found. Ideally, you would be looking for someone experienced in dogs – and better yet – grooming dogs. All shapes and sizes. But that’s just the starting point. You’re also looking for someone who is reliable, punctual, compassionate, honest, and a team player. Ideally you are looking for someone who enjoys both people and pets. Plus, they have to have a personality that will help your salon attract more clients. With a very specific job market that has few candidates, it makes the hunt even more difficult. It would be wonderful if you had an entire file of resumes of experienced groomers to choose from. However, in our field, it just doesn’t happen very often. Most likely you’re going to fill the position with someone who will need training. You will need to teach them and mold them into your ideal employee. So what do you look for? Here are four things I look for when seeking a new pet grooming enthusiast to join the team. #1. Compassion & Passion – No matter how talented a person may be, without compassion and passion, they she won’t be much of an asset for your salon. Look for someone who can easily identify with your business goals and its mission. #2. Commitment – Seek out a pet enthusiast who is eager to learn more about the grooming industry. Do you see the potential in that person to be dedicated and committed to his job? This is a field where learning can be never ending. Are they receptive to increasing their skill level? #3. Problem Solver – All businesses face problems every day. Your grooming salon is definitely not an exception. Hire someone who can be relied on to analyze, address and solve problems effectively. #4. Professionalism – Do they present an image of professionalism in their personal appearance, their mannerisms and their speech? Here are a few items that always impressed me when I’m interviewing prospective groomers. They are punctual. They show up five minutes prior to the interview. They present a well pulled together look. It doesn’t need to be fancy but it does need to be well thought out. They smile and shake my hand firmly as we introduce ourselves. They supply a full resume of their experience including references. They have brought a photo portfolio of their work. Is it well presented? If they’re a recent graduate, they supply copies of their certificate, report card, and attendance records from grooming school. They have a proven track record of applying themselves. They are prepared to discuss their abilities and goals at the interview instead of just reciting it from the resume. In most cases you’ll have to do a three-step process when interviewing candidates. If a candidate does not meet your expectations at any point during the interview process, do not move on to the next step. The first step is generally a telephone interview focusing on basic topics about the person. The next phase would include a personal in-depth interview. The final phase would be a practical demonstration of basic skills including; handling, prepping, bathing, drying, and executing a simple haircut on a small to medium-sized dog. Hiring is never easy. It takes time and effort to find the right candidate for your team. As you’re going through the hiring process always remember this. Here is most important element to look for when hiring. Look for someone who is compassionate and passionate. No matter how talented a person may be, without compassion and passion, he or she will not be much of an asset to your grooming business. I’m just like most of you. My first business was a mobile van. I was extremely successful. Within less than a year I needed a second van. I needed someone to run that unit. I didn’t want it complicated. I just needed help. I figured the easiest route to go was to find the person that could groom and send them out in a second rig. I didn’t need to file all that mumbo-jumbo with the government. Heck, this person was going to run solo — it was the perfect situation for an independent contractor. After all, everybody else was doing it!